Any church and organization can use video streaming as a communication tool. Not too many years ago, the costs were so high that only larger churches and organizations could afford it. But the costs of equipment have come down. And access to the web has opened up to allow virtually everybody in. It’s time for every church and organization to think about how they can use this powerful medium. This is the first in a series of articles about video streaming. Other installments will cover live vs. on-demand, streaming server providers, hardware & software to get the job done, options for interacting with the audience, and how to promote it with your target audiences. First, let’s talk about why and what. YouTube, the ubiquitous purveyor of online video, says “48 hours of video are uploaded every minute, resulting in nearly 8 years of content uploaded every day.” YouTube claims to have hundreds of millions of users worldwide. But I probably don’t need to tell you that. 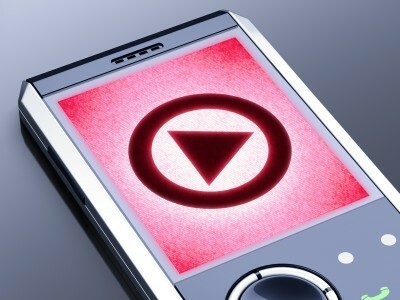 If you’re reading this article online, chances are you’ve seen your share of YouTube videos. They’re embedded on websites, used in sermons and classes, linked from Facebook, and emailed to friends and family. They’re everywhere. I’ll not discuss the pros and cons of using “secular means for sacred purposes” right now… although that’s a good topic for later on. I will say that we’re burying our head in the sand if we don’t take advantage of the opportunities our culture and technology provide to communicate the gospel. What, then, should we stream? Many churches will stop with the obvious: the worship service. And many faith-based organizations will not go beyond the talking face of their CEO. How about some other options? The list goes on. I invite you to comment below to add your ideas, or things you’ve seen. Let’s use our God-given talents and the technology God has made possible to tell the Good News and help bring the Kingdom of Heaven to earth.